Despite the changes in recent years, you still face harsh penalties under both federal and state law if you receive conviction of illegally growing marijuana or owning any cannabis cultivation equipment or device. For more than two decades, experienced Seattle drug crimes lawyer Kevin Trombold has represented clients accused of marijuana-related crimes including possession, trafficking, and cultivation. If you get charged with growing cannabis illegally – or with being any part of a marijuana cultivation operation – around the Seattle area or anywhere in the state, contact us at the Law Offices of Kevin Trombold. Marijuana laws seem to change almost every year, so if you are charged with marijuana growing or with possessing the equipment to grow pot, you must have a knowledgeable defense lawyer protecting your rights. Growing weed in any amount for any reason is still a violation of federal law, and a federal marijuana conviction almost always results in steep fines and time in a federal prison. State laws regulating medical marijuana growers are exceedingly complicated and detailed in terms of what amounts can be legally owned or grown and what types of sicknesses may be treated legally with marijuana. If you’ve been criminally charged with illegal distribution or cultivation of marijuana, experienced Seattle marijuana lawyer Kevin Trombold can protect your legal rights and fight for the justice you deserve. Your advocate will be one of Seattle’s most skilled and effective defense attorneys. Kevin Trombold can craft and offer an aggressive defense on your behalf. Make sure that you and all of your employees are 21 and over, and also check to see if they have been living in Washington for at least three months. Make sure that you and all of your employees are in good standing in terms of your state taxes – and that none of you has been convicted of a felony or two gross misdemeanors. Pick a place to grow the weed other than your home, federal land, or any spot within one thousand feet of a child care center, school, park, or federal housing project. Indoor grows must be inside a permanent, enclosed building, and outdoor grows must have at least an eight-foot high, sight-obscuring fence around it. Put together a business plan which includes your expertise, your funding sources, your security protocols, your plans to transport it to a retailer, your plans to trace every aspect of the materials, your plans to dispose of marijuana-related waste, and your third-party testing laboratory arrangement. Pay a $250 application fee, and be ready to pony up more money for additional costs (fingerprint examinations, etc.). If you are legally allowed to grow marijuana in Washington state, you need to stay up-to-date with all of the changes in rules and regulations. One of these changes is banned pesticides that are no longer allowed to be used in growing marijuana. As Washington continues to slowly develop its recreational marijuana market, the Liquor and Cannabis Board is also taking steps to standardize the pot offerings across the state by banning certain products that the board deems dangerous. The board implemented recall procedures for marijuana that its members feel is a threat to public health or safety. That threat isn’t explicitly defined, but one major area of concern is the pesticides being used to treat the marijuana plants. These prohibited ingredients were determined using the input of industry leaders. The abolition of inventory destruction as a penalty for processors and producers who are in violation of laws or regulations. Only monetary penalties will be assessed in the future. The option for marijuana retailers to accept returns of opened pot product if it is in its original packaging. The removal of the condition of displaying an employee’s birth date on his or her employee ID badge. The cancellation of a license for a marijuana, retailer, producer, or processor who fails to address monetary penalties for multiple violation notices within a 36-month period. Some industry leaders are also trying to come up with a “certification” sticker of sorts (much like those seen on organic foods) for marijuana products who meet certain quality standards. The rules around legally growing marijuana are constantly changing. If you are facing state or federal charges of pot growing or distribution, contact the experienced Seattle marijuana lawyer, Kevin Trombold. Experienced Seattle marijuana lawyer Kevin Trombold can defend ably you against a state or federal pot growing or distribution charge. Any criminal charge can ruin your reputation. Kevin Trombold and his legal team work to ensure you will get the most ideal outcome from your case. 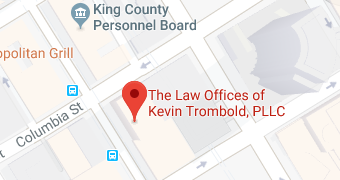 Contact our Law Offices of Kevin Trombold by calling 206-382-9200 for a consultation.